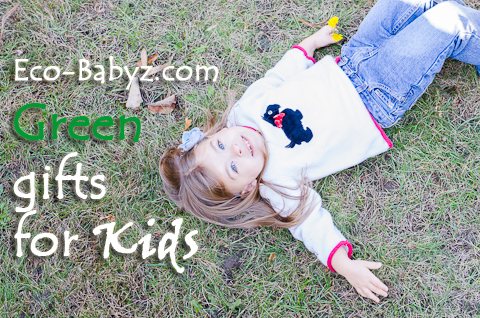 Looking for Green Gifts for kids? We have a few ideas. 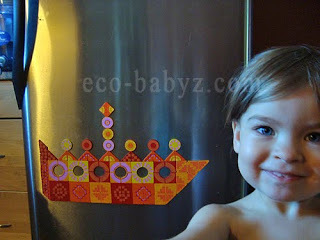 In case you missed it, check out or Green Gifts for Babies too. Again, we only share things that have proven their worth for us and our kids. Each item is chosen based on durability and 'greenness'. We're also including some unconventional charitable gifts that go beyond more stuff to fill your house and teach your children valuable lessons. 1. Haba Indian Summer Magnetic Game $40.49 | One of Baby E's favorites, this magnetic mozzaic set lets her use the imagination and create artwork either on the fridge or on the board provided. I love that it doesn't make a mess! 2. 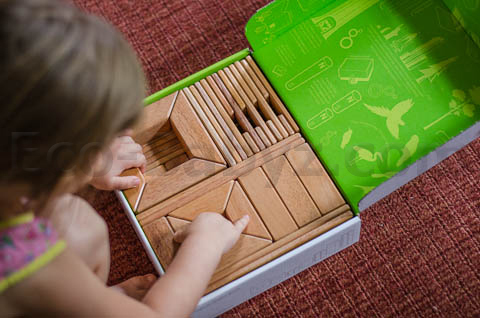 Tegu Magnetic Blocks $30 to $140 | Although great for all ages, I think Tegu blocks are best for kids three and older. It's a great workout for creativity and patience! A small set is $30 and the huge one is $140, with many options in-between. 3. 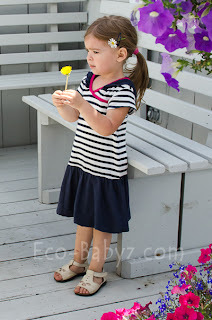 Tea Collection Clothing $12.50 to $148 | We are in love with Tea's affordable, stylish clothing! They always have many items on sale and you can get a great deal by buying a whole wardrobe set. For $148 you get three dresses and three pairs of leggings. Tea is a favorite with Baby E, as you know if you've read about her addiction! 4. 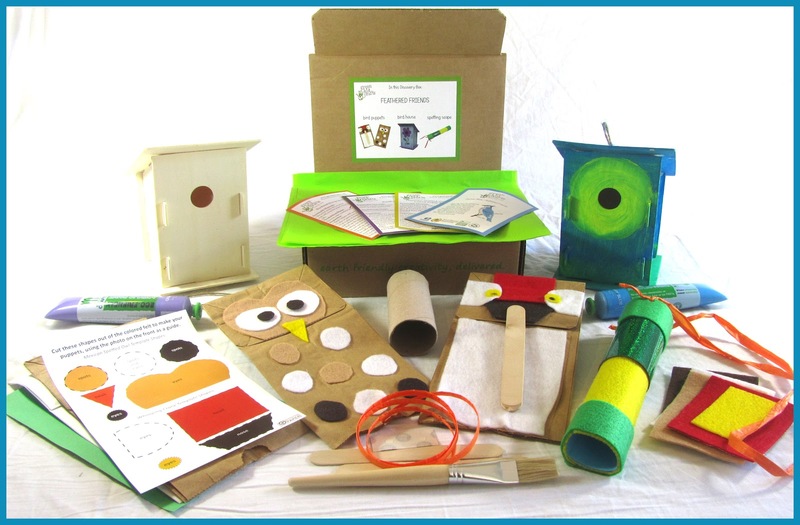 Green Kid Crafts $19.50 to $334.50 | Give the gift of creativity and receive a box of craft supplies for 3 specific Eco crafts delivered to your door monthly for just $19.50 per month. 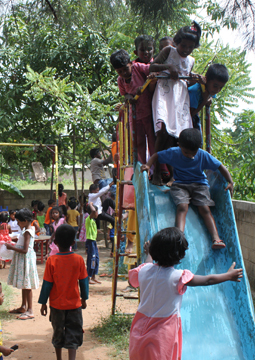 You can join yourself or give it as a gift for 3 month to 1 year, one or two children. We tried one box and it was a lot of fun, something Baby E absolutely loved. 5. 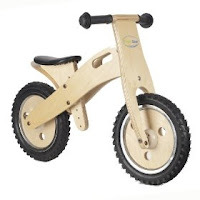 Smart Gear Balance Bike $89.99 | Baby E has been riding this bike for two years and has superb balance, she is now ready for a big kid bike with pedals. It is the perfect first bike without cumbersome pedals, it's so fun to watch them ride it with confidence! 6. A Safe Playground for Children in Crime-ridden Community $35 | Through Compassion you can help build a safe playground for impoverished children. Something our kids may take for granted, but many in the world can only dream of! 7. 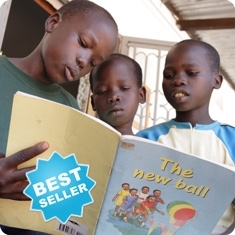 Books for Kids $25 | Through Oxfam America you can provide primary school children in rural communities with lesson books. You can give this on behalf of your child along with a book for them too, explaining how some children do not even have any books of their own. 8. 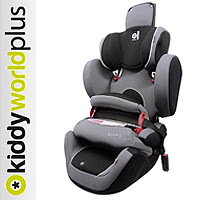 Kiddy World Plus Car Seat $279 | Kids grow. Much too fast. If yours is already outgrowing the car seat he or she is in, this one is super awesome because it's the last one you'll need. It can be used as a booster up to 110 pounds! Plus it is much safer than a backless booster and offers robust side-impact protection. Kiddy products are a lot 'greener' in manufacturing because they are designed to strict European standards. 9. Swoop Bag Mini $24 | We absolutely love our large Swoop bag (above), it is so great for toy storage! It's simple for kids to put their toys away and it can be used in so many ways once they outgrow the toy stage. 10. EcoGear Backpack $18 - $48 | One of Baby E's favorites, the EcoGear monkey backpack goes with her everywhere. Handy for sleepovers at grandparents and for trips. They have many cute characters and simple ones without animal faces. 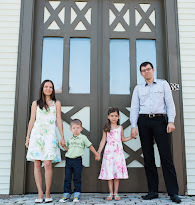 Disclosure: I want my readers to know that this post contains affiliate links. Meaning if you buy something via a link posted I will receive a small commission. It costs you nothing, but it helps me continue to run Eco-Babyz, thank you! Thank you for mentioning a different perspective on how we can give this holiday season, so often we don't think about that, that is very neat i didn't even know that Safe playground exist.